Shaper vises vary in design but their basic features are that they are low and HEAVY, have a rotating base marked in degrees and a moving jaw that can be adjusted to fit rough or tapered work. The reason for fitting rough work is that shapers were often the used as a first step (or primary tool) for cleaning up castings or forgings. The were built exceptionally simple and heavy to take the heavy, hammer like, roughing cuts of the shaper. 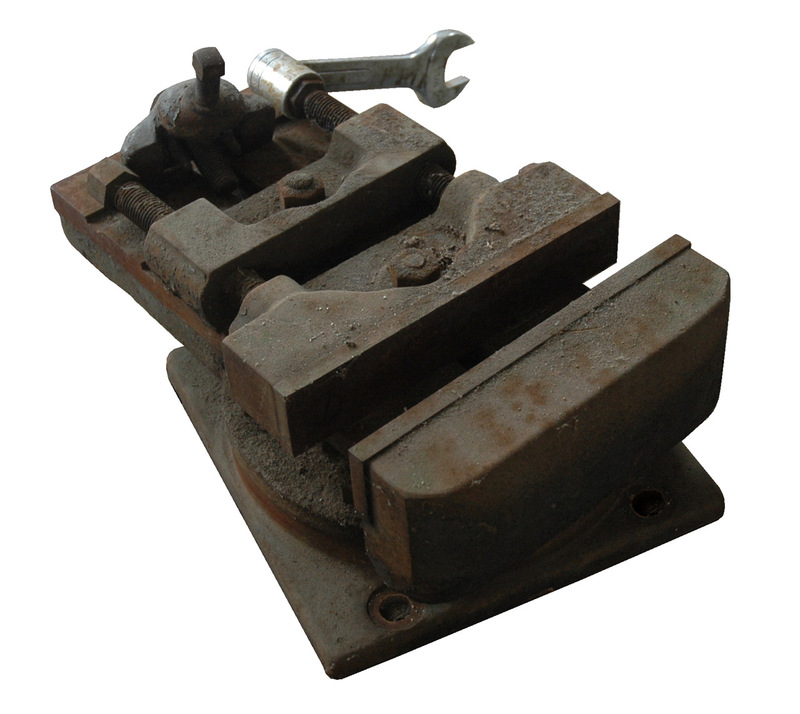 Some were made integral to the shaper's table with through bolts so that there was no way the vise could be pushed off the shaper (as was common with poorly secured work). One second its there, the next its lying several feet in front of the shaper! The shaper above is a universal (the table tilts in two directions) and the vise is bolted on via T-slots in the table. The wrench was custom made to fit the vise and shaper by welding together a socket and an open end wrench (spanner) using stainless welding rod. I've had two G&E 16" shapers. The firat was an ancient machine with an open gear box. The primary gears (bull and pinion) wore out shortly after I started using it and I had to scrap it. It was a plain shaper and the vise had 12 to 14" jaws and opened wide enough to hold 16" work. 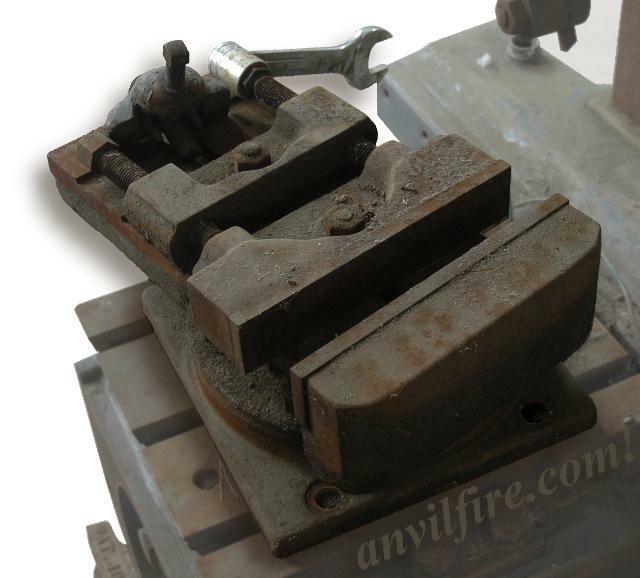 The vise was integral to the table having no base of its own. The second G&E as an Industrial Universal. A 4,300 lb machine! I paid a lot for that machine, put a lot into cleaning it up and never had a chance to operate it. It would not fit into my new shop so I sold it. I wanted the universal specifically for making power hammer dies. The combination of the tilting table and rotating vise would make both plain and compound angle dovetails without special fixtures. I'd love to find a 14" G&E Universal (the smallest made by G&E). NOTE: Part at back of vise is NOT part of the vise, its a shaper table leg bracket.